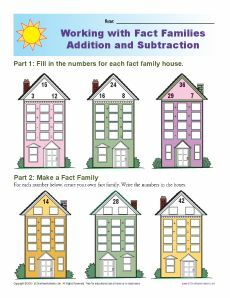 Your student will be the resident mathematician with these fact family houses! He'll practice multiplication and division as well as math properties. It's a great way to work on 2nd grade Common Core Standards for Operations and Algebraic Thinking.